Even if you’re moving to the home of your dreams, packing up and moving a household can be overwhelming. It’s also unsettling for seniors, children and pets. Then there are the additional expenses – realtor and lawyer’s fees, a bigger mortgage, renovations ….the list goes on. It may be tempting to think that you’ll save money by renting a truck and asking friends or family for assistance with your move. In the end, however, that could work out to be more costly. You or those assisting with your move could get injured lifting heavy furniture, break valuable possessions, or damage walls and floors. This creates additional stress and expense and can turn your move into a nightmare. Affordable Moving & Storage can solve all these problems. We have extensive experience helping families, couples, seniors, students and professionals move to new homes, apartments and townhouses. Why partnering with a professional mover is the smartest move you can make! Affordable Moving & Storage is based in New Jersey. 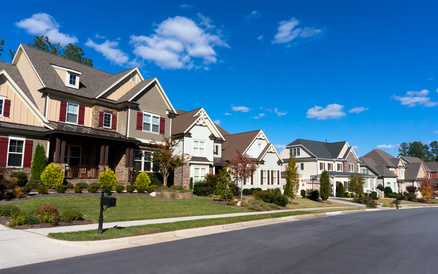 We have in-depth knowledge of the Garden State’s residential areas including the unique rules and regulations of apartment complexes and 55+ communities. As your local moving company, we’re dedicated to providing affordable friendly service to you, our neighbors. We’re aware that word of mouth and referrals drive our business. We have a reputation to uphold in our community - any dissatisfaction hits too close to home! Avoid extra charges for gasoline and mileage by using a local residential moving company like Affordable Moving & Storage. Affordable Moving & Storage also offers one on one direct service to destinations within a 500-mile radius of our base in New Jersey. Our area of expertise includes the East Coast, covering all destinations between Maine and the Carolinas; as well as Boston, Washington and all points in between. Our same or next day residential moving service ensures that your possessions arrive at your new home quickly and intact, helping to make your transition seamless. 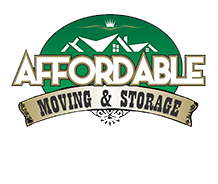 Affordable Moving & Storage are your apartment moving specialists. We’ve assisted with many small residential moves to studios, lofts and efficiencies in New York City and other urban centers. You no longer have to ask favors or own or borrow a minivan to get these chores done. Plus, you can schedule the move at a time that suits you. Because we undertake many small moves a day, our minimums are lower than other movers, making us the most affordable residential moving company. Don’t let inexperienced movers handle your piano. It’s a heavy, valuable piece that can be difficult to lift and manoeuvre. Affordable Moving & Storage are the recommended professional piano movers for many piano stores, tuners and refinishers in New Jersey and the surrounding areas. We’ll move your upright, baby grand, grand or player piano carefully and expertly. Affordable Moving & Storage can transport your possessions quickly, safely and economically to and from self-storage units in New Jersey. We sell inexpensive, disposable protective materials ideal for keeping your belongings in pristine condition in transit and at the storage unit. We recommend several clean, local self-storage facilities. If you need containerized storage, we’ll try to accommodate this request whenever we can but require a minimum of 30 days notice.